Cooking with gas takes on a literal meaning when you prepare food on a gas stove. 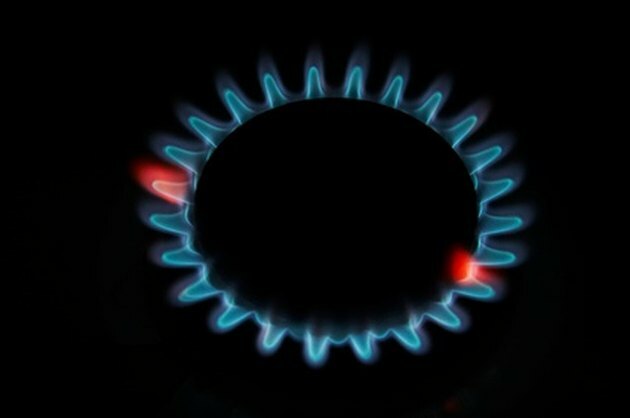 Many common problems can obstruct your ability to cook with gas, and it only takes a few minutes to troubleshoot most of them. Be sure to take necessary precautions when troubleshooting, performing maintenance or repairing gas stove. Always leave any repairs that could cause a gas leak to the professionals. Cooking with gas can make food prep more efficient. A very common gas stove problem is a surface burner that won't light and simply needs relighting This could be caused by the pilot light's having been extinguished or the burner portholes getting clogged. If your gas stove is equipped with an electric igniter, make sure the stove is plugged in and, if so, check that the circuit breaker has not been tripped. If the flame of the burner continually goes out, clean out the the pilot light opening. If that doesn't work, try adjusting the flame of the pilot light itself. If the burner flame on top of the oven appears to be less impressive than normal, the problem could be clogged burner flame openings. Low-quality flames could also be caused by too little gas or too little air getting to the burner. Adjust the air shutter to see if the problem is air, but call for a pro if you suspect the problem is not enough gas. Check the pilot light first if the oven burner refuses to light. If the pilot flame is not the cause of this problem, check the power cord if you have an electric igniter, the glowbar igniter, the thermal cutoff or the thermostat. A common solution to this problem is to make sure that the clock-timer is set correctly. Smelling gas when the pilot flame is not burning means you need to ventilate the house by opening windows and then relight the pilot light. If the odor of gas can be detected and the pilot flame is lit or the electric igniter is plugged in, it could indicate that one of the burners is not shut off completely. Check all burners, and if you find that they are all in the off position, turn off the gas supply to the stove, ventilate the kitchen and nearby rooms, and call the gas company for assistance. A noisy flame on a gas stove means either too much air or too much gas is getting to the burner. Adjust the air shutter to see if air is the problem, but leave it to the pros to determine how much gas is being released. Unless you want a grease fire, always wipe down and clean the cooking surface. Regular cleaning of the burners helps ensure more efficiency, using less gas on a lower flame.